Most hoist manufacturers require specific lubricants for their gear cases and have defined time requirement for oil changes. Since the gear case is usually the most expensive repair component, it makes absolute sense to invest in routine analysis of oil to determine the health of the oil and the gearbox components, including, gears, bearings, and seals. Hoist and crane gearbox oil analysis is a routine activity that is useful for analyzing oil health, oil contamination, and internal gear and bearing wear. The purpose of an oil analysis program is to verify that the lubrication is still effective and that the gear train is operating according to expectations. 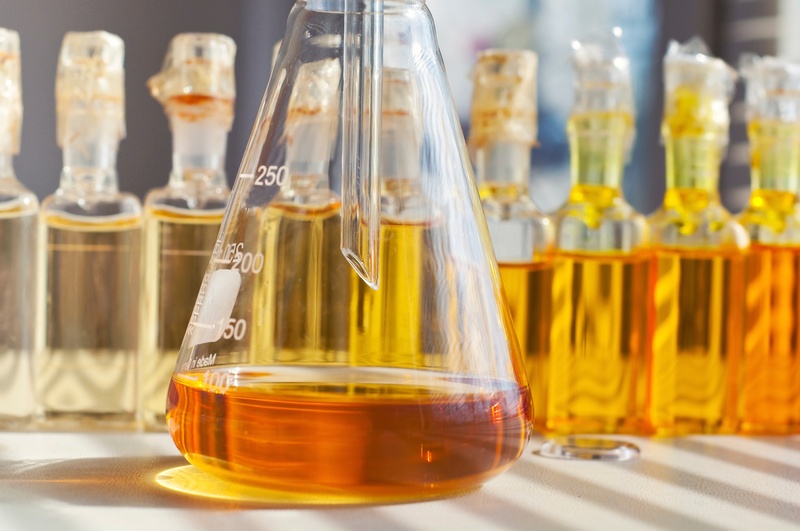 When an abnormal condition or parameter is identified through oil analysis, immediate actions can be taken to correct the root cause or to mitigate a developing failure. Oil analysis is a routine activity for determining oil health, oil contamination, and machine wear. The purpose of an oil analysis program is to verify that a lubricated machine is operating according to expectations. When an abnormal condition or parameter is identified through oil analysis, immediate actions can be taken to correct the root cause or to mitigate a developing failure. An obvious reason to perform oil analysis is to understand the current condition of the oil, but it is also intended know condition of the hoist or crane gear train from which the oil sample was taken. There are three main categories of oil analysis: fluid properties, contamination and wear debris. Does the sample match the specified oil identification? Is it the correct oil to use? Are the right additives active? Has the viscosity shifted from the expected viscosity? If so, why? What is the oil’s RUL? What types of contaminants are in the oil? Are there signs of other types of lubricants? Is there any sign of internal leakage? Is the machine degrading abnormally? From which internal component is the wear likely originating? What is the wear mode and cause? How severe is the wear condition? You need to know if any actions should be taken to keep the crane's gearboxes healthy and to extend the life of the oil. Oil analysis for machines can be compared to blood analysis for the human body. When a doctor pulls a blood sample, he puts it through a lineup of analysis machines, studies the results and reports his conclusions based on his education, research and detailed questions asked to the patient. Likewise, with oil analysis, careful oil samples are taken, and elaborate machines yield the test results. Laboratory personnel interprets the data to the best of their ability, but without crucial details about the machine, a diagnosis or prognosis can be inaccurate. Interpreting an oil analysis report can be overwhelming to the untrained eye. Read and check the data on the oil type and machine type for accuracy. Verify that reference data is shown for new oil conditions and that trend data is at an understood frequency (preferably consistent). Verify elemental wear data and compare to reference and trended data. Use a wear debris atlas to match elements to their possible source. Check the elemental additive data and compare to reference and trended data. Use a wear debris atlas to match elements to their possible source. Verify elemental contamination data along with particle counts and compare with reference and trended data. Use a wear debris atlas to match elements to their possible source. Check moisture/water levels and compare to reference and trended data. Verify the acid number and base number and compare to reference and trended data. Check other analyzed data such as FTIR oxidation levels, flash point, demulsibility, analytical ferrography, etc. Compare any groups of data that are trending toward unacceptable levels and make justifications based on these trends. Compare written results and recommendations with known information on the oil and machine, such as recent changes in environmental or operational conditions or recent oil changes/filtration. Review alarm limits and make adjustments based on the new information. Typically, an oil analysis report for a gearbox comes with a written summary section that attempts to put the results and recommendations in simple terms. But, since the laboratory has never seen the crane and often records do not exist to know its full history, these recommended actions have to be analyzed by a competent crane technician to recommend the proper action based on the information on hand. Typical results of oil analysis will indicate the need to replace old or improperly specified lubricants outside the OEM specified oil. We also frequently discover levels of contamination or metallic components that require further evaluation of the gearcase to determine if there is wear, fatigue or bearing deterioration.